John R. Moore Intelligence Analyst With The U.S. Military Intelligence, Special Forces Green Beret [Part 1] And John Is Here To Establish The NWO Narrative [Part 2], That Global Warming Will Be The Cause Of The Ocean’s Dying Thermohaline Circulation On The East Coast Of The U.S.
John Also Notes His Interest In Global Warming Began In 2000. Interestingly This Is The Same Year That B.P. Designed Their New Logo Of Green Yellow & White Sunburst Which Marked The Company’s Commitment To The Environment And Solar Power. It Is Also Interesting That During This Timeline [2000-2015] We See An Escalation Of Environmental Disasters [Eco-Terrorism]. Examples Being Texas City 2004, Texas City 2005, Prudhoe Bay 2006, Ohio 2006, Indonesia 2006, Manipulation Of The Propane Market 2007, B.P. Arrested In Russia 2008, Texas City 2009, Ohio 2010, Gulf Spill 2010, Alaska Pipeline Leak 2010 ad-nauseum.. 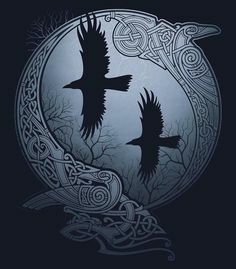 Presentation Further States That Due To The Thermohaline Death, The Globe Becomes Colder [Abrupt Climate Change] Which Will Cause A Significant Drop In Human Carrying Capacity Of The Earth’s Environment. John States, “That Means People Are Going To Die”. 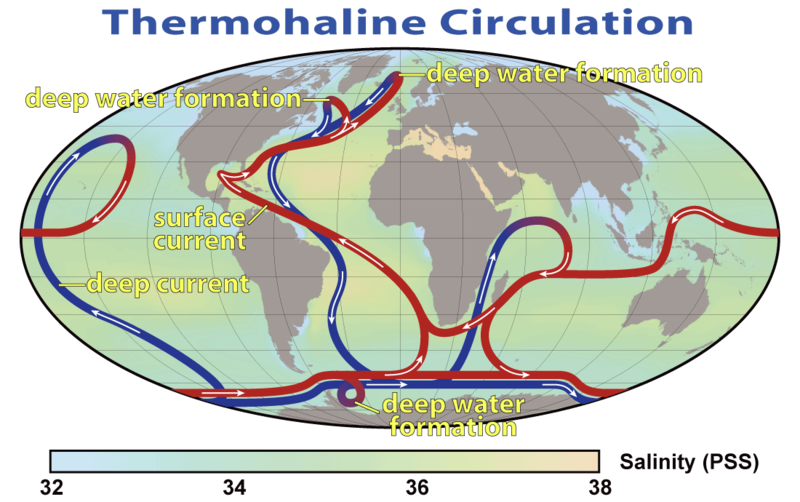 John States The Salt Content Cause The Thermohaline Circulation And Because Of The Melting Ice Shelves The Salt Is Being Diluted Down ~ Thus A slowing Of The Gulf Stream, Thus People Are Going To Die. Interestingly John Doesn’t Mention The 200 Million Gallons Of Oil And 2 Million Gallons Of The Deadly Corexit That Was Dumped By B.P. Into The Gulf Of Mexico. This combination Of Oil & Corexit Increased The Toxicity Of The Mixture By 52-Fold Over The Oil Alone. Science Fiction = Global Warming As The Cause! That Mixture Follows The Atlantic Gulf Stream Up The Eastern Coast Of The U.S.
“Even small amounts of Corexit are toxic to phytoplankton … the basis of the food chain in the Gulf. We have documented for years that dispersants like corexit increase the toxicity to humans, animals and fish. For example, toxicologists noted in 2010 that corexit:“ruptures red blood cells, causes internal bleeding”, “allows crude oil to penetrate “into the cells” and “every organ system”. Scientists note that dispersants release much higher levels of cancer-causing polycyclic aromatic hydrocarbons than oil alone. Dispersants also cause gulf fish to absorb more toxins and then make it harder for the fish to get rid of the pollutants once exposed. The entire ‘river of warm water’ that flows from the Caribbean to the edges of Western Europe is dying due to the Corexit that the Obama Administration allowed BP to use to hide the scale of the BP Deepwater Horizon Oil Disaster. The approximately two million gallons of Corexit, plus several million gallons of other dispersants, have caused the over two hundred million gallons of crude oil, that has gushed for months from the BP wellhead and nearby sites, to mostly sink to the bottom of the ocean. This has helped to effectively hide much of the oil, with the hopes that BP can seriously reduce the mandated federal fines from the oil disaster. However, there is no current way to effectively ‘clean up’ the bottom of the Gulf of Mexico, which is about half covered in crude oil. Additionally, the oil has flowed up the East Coast of America and into the North Atlantic Ocean, and there is no way to effectively clean up this ‘sea bottom oil’. It is likely, based on numerous reports, that the oil is still flowing in massive amounts from multiple places on the seabed floor. This effectively means, that even if we had the technology in place to somehow clean up the free flowing thick crude oil deep in the ocean, it would likely not be enough to reverse the damage to the Thermohaline Circulation System in the Atlantic Ocean. Dispersants make oil last longer, because they slow the growth of oil-eating microbes. (and see this). Storage locations along the Gulf Coast were selected because they provide the most flexible means for connecting to the Nation’s commercial oil transport network. Strategic Reserve oil can be distributed through interstate pipelines to nearly half of the Nation’s oil refineries or loaded into ships or barges for transport to other refineries. Strategic Petroleum Reserve caverns range in size from 6 to 35 million barrels in capacity; a typical cavern holds 10 million barrels and cylindrical in shape with a diameter of 200 feet and a height of 2,000 feet. One storage cavern is large enough for Chicago’s Willis Tower to fit inside with room to spare. The Reserve contains 62 of these huge underground caverns. NWO Orchestrated B.P. 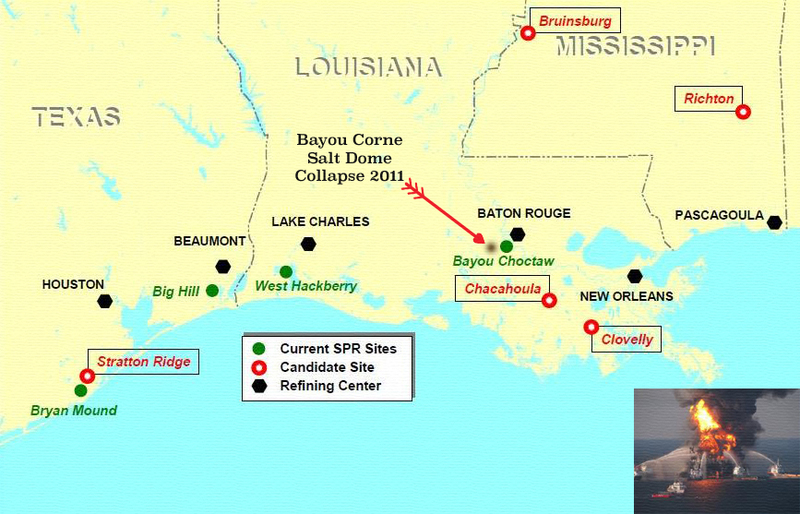 Mega Disaster In The Works: The Louisiana Salt Dome Sink Hole! Amid debating whether earthquakes caused the nearby breached salt cavern to fail, extra seismic activity was recorded, according to USGS monitors observed by this reporter, also noting that in 2010, experts foretold a methane crisis, one saying a methane-caused sinkhole could result from BP’s oil catastrophe in the Gulf of Mexico. 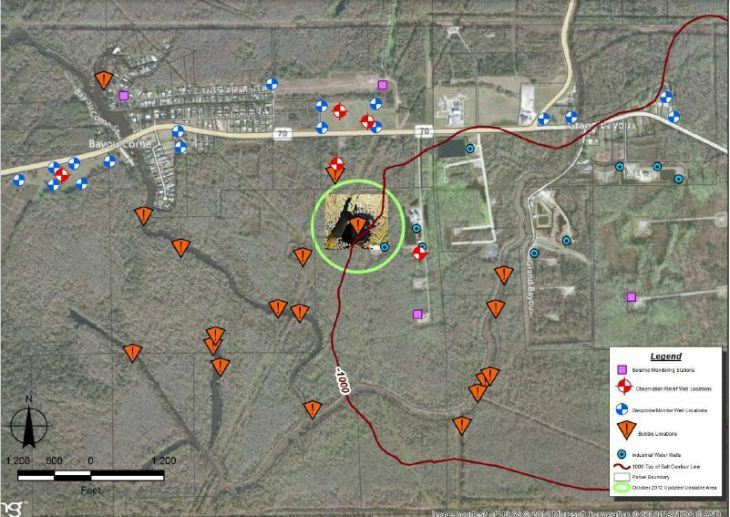 Louisiana State of Emergency: Oil and gas sinkhole disaster area risks and rights violations escalating. It’s been labeled the worst environmental disaster in world history, and rightfully so, because the British Petroleum (BP) oil spill in the Gulf of Mexico is like the nightmarish gift that keeps on giving. BP and the United States government would have the public believe that all is well in the Gulf. Nothing could be further from the truth. The crisis is not only ongoing; its effects are worsening. Many May Die From NWO Orchestrated B.P. 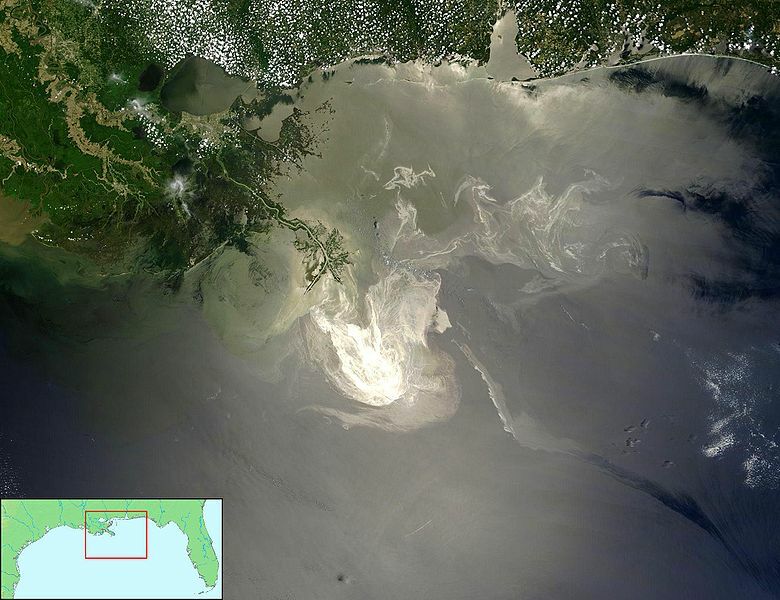 Gulf Disaster: Methane Mega Disaster In The Works! 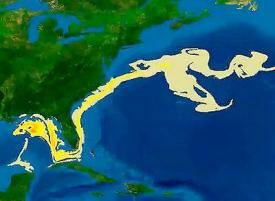 Gulf Of Mexico In September 2001. This Is The Same Month That The Twin Towers Were Destroyed By Terrorism. 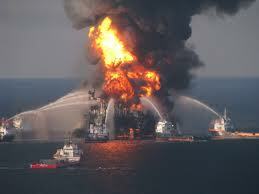 The April 20, 2010 the Deep Water Horizon Explosion will be back in the news again. 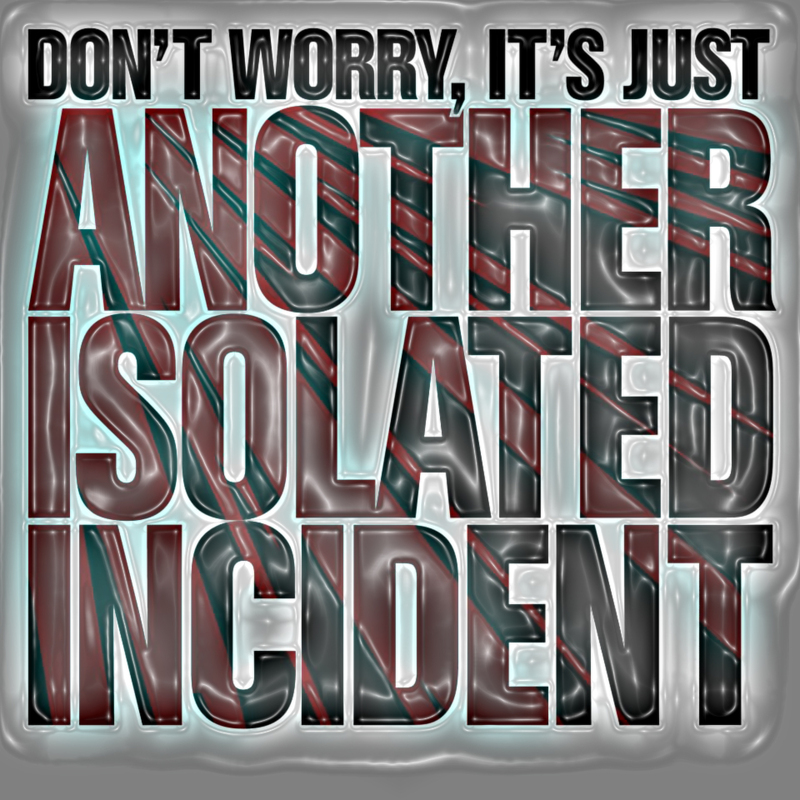 The explosion of this oil rig represents the biggest false flag event in history; the devastation of this false flag event is still being felt and the worst is yet to come. You may have heard about the explosions near the New Madrid Fault and the thousands of generators being shipped to Louisiana by FEMA. Soon all readers of this series will connect the BP oil spill to these recent current events. 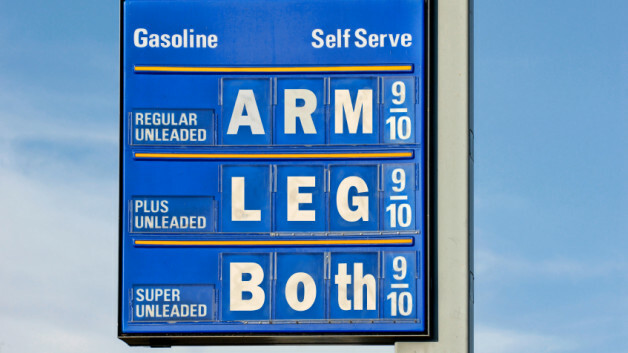 British Petroleum Orchestrated Oil Chaos! Over 34 months later, the oil spill has destroyed the welfare, livelihoods, health and futures of tens of millions of Gulf Coast residents, not to mention the destruction of the fragile ecology in the Gulf of Mexico. Originally, BP was ordered to initiate $20 billion in restitution to the Gulf Coast victims. 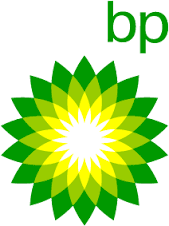 In retrospect, BP has never made full restitution to the victims. The overall physical health of the region has been decimated and the mainstream media and government officials reaching as high as President Obama have been complicit in covering up the geological and medical magnitude of the event. Even to this day, BP is still covertly carpet bombing Corexit in the Gulf and the much of the environmental catastrophe remains untouched by the BP cleanup crews. This new series will expose the fact that BP, Halliburton, Goldman Sachs, Transocean and [[David Rockefeller’s and the Queen of England’s New York City for Profit members]] had foreknowledge and hedged their stock market bets in anticipation of the event. In other words, I will present incontrovertible evidence that this event was planned in order to achieve multiple goals in order to further the agenda of certain special interests. There Is Absolutely NO REASON For The U.S. To Store Oil Products Inside These Salt Domes Under The Auspice Of “U.S. 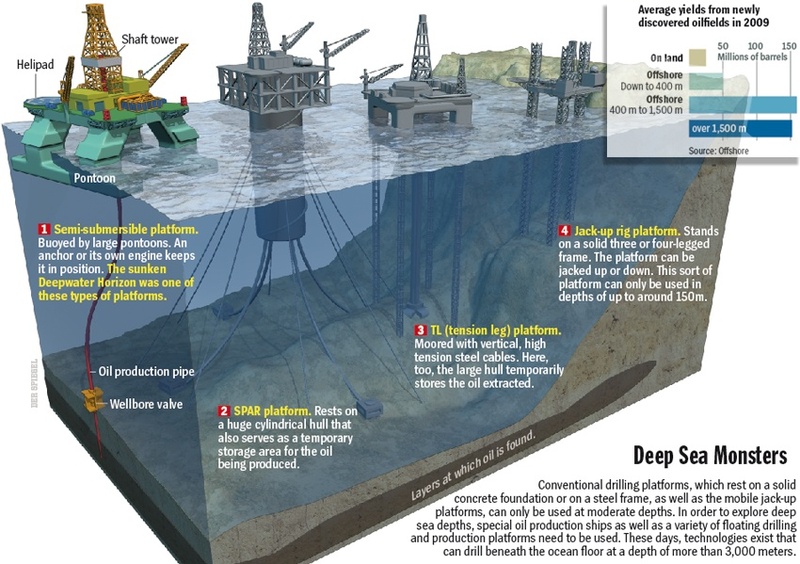 Strategic Oil Reserves”. 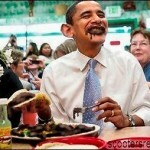 The United States Has More Oil Than Any Other Nation On Earth And Obama Regime Has Been Shutting Down Our Oil Production! Further, this series will also expose the fact that the evidence complied from the Executive Filings of President Obama indicates that it is likely that he had foreknowledge of the impending catastrophe in the Gulf. Additionally, this series will demonstrate that the events in the Gulf are part of a regional depopulation scheme. Readers will also learn that the ongoing nature of this false flag event will contribute to the total transition of the American economy to a cap-and-trade system which has been championed by Obama and Valerie Jarrett, from several years ago, which culminated in Obama, a supposed outsider, capturing the Presidency with very little political experience. Starting at the beginning, it was clear that BP was going to be used as the symbolic fall guy in order to usher a new set of dynamics to the Gulf. However, the powers that be, provided BP with a “soft landing” with regard to the potential punitive actions brought against BP. 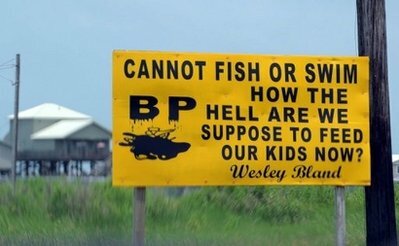 Obama Unilaterally Cuts Deal To Protect BP Assets From Lawsuits! Every story has a beginning, so let’s review how, what will prove to be the biggest false flag event in the history of our country, unfolded. 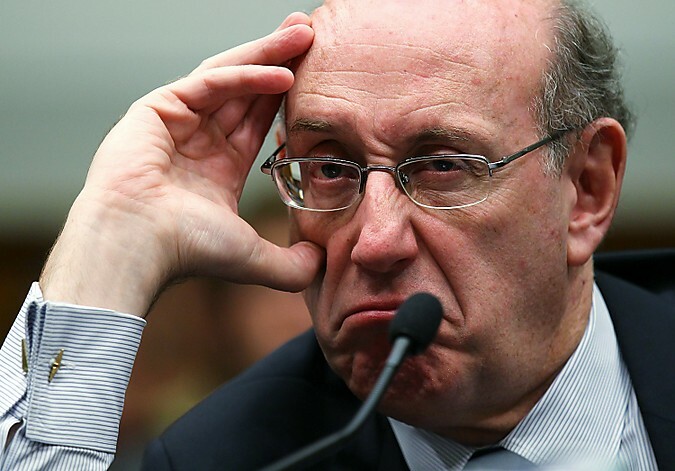 You remember Ken Feinberg, don’t you? This is the same Ken Feinberg who was in charge of denying medical coverage to 9/11 first responders, which resulted in the premature deaths of many of 9/11′s first responders because of the lack of sufficient medical treatment from claims denied by him. As you read the following paragraphs, you will be shocked as to how history has been allowed to repeat itself. BP has shamelessly used the event to falsely promote its generosity toward the residents of the Gulf by providing full restitution for tiny minority of residents, thus restoring its public image in the mind of the average American couch potato who believes everything they see on television. Now we already know these concentrated shortwaves generated by HAARP in Alaska can shift tectonic plates. 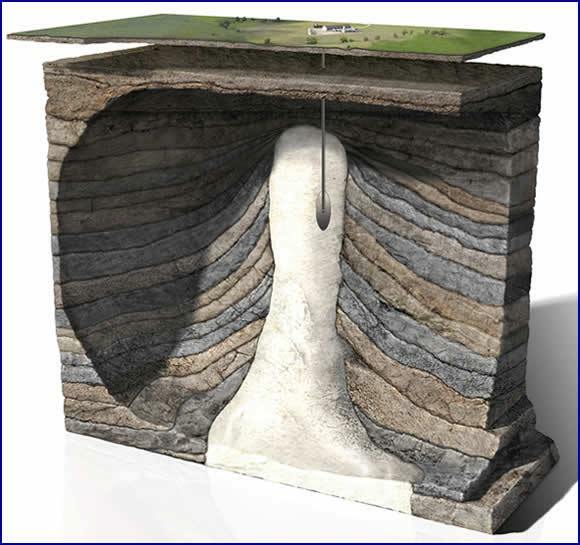 The shifting of tectonic plates in this region can trigger an earth quake or damage/breach the 1.5 million barrels of liquid butane stored in the salt dome beneath this sink hole where currently oil is rising out of the already fragile area. Very very disturbing to see a 6.1 reading of short waves centering on this area. It is an unnecessary salt dome storage facility in the first place and the only function now it appears, is that this liquid butane is nothing more than a sitting times bomb. Here Is An Explanation Of Western Tectonic Plates Pushing Eastward – HAARP maybe the Impetus For Agitating The Plates to Cause and/or Amplify The Orchestrated Louisiana Catastrophe That Is Now In Progress! Paralyzing Vaccine Deaths 47,500 With 50 More Children Recently Paralyzed With Bill Gates Meningitis Vaccine! Is all well in the Gulf today? After 34 months, did BP make it right? There are two answers to this question, no and hell no! According to BP’s YouTube channel, BP has made complete restitution to the victims of the oil spill and all is indeed well and the American public should be willing to move on to other issues and forget about the Gulf. BP’s YouTube video channel does make a compelling case that the Gulf is well on its way to a full recovery. Bryan and Brooke Zar, the owners of Restaurant des Families located in Crown Point Louisiana, claim that BP restored their restaurant to a level of profitability just in time for the spring break vacation period and that “the beaches are again clean”. An example of BP’s YouTube channel propaganda featured Rick Scali as he describes his return to profitability as his vacation rental home business in Destin, Florida had fallen upon tough times as a result of the oil spill. Scali claims that BP made his rental business whole when he showed BP the rental cancellation slips and was promptly paid for his losses by BP and today all, is again, well. There you have it, all is well on the Gulf Coast Front, or that is what BP, the mainstream media and the government would have the public believe. This prompted an on-air emotional tirade regarding the undue restrictions on media’s coverage by CNN’s Anderson Cooper. Nor was there any meaningful coverage of Halliburton applying the highly controversial dispersants of Corexit 9500 and Corexit 9527. 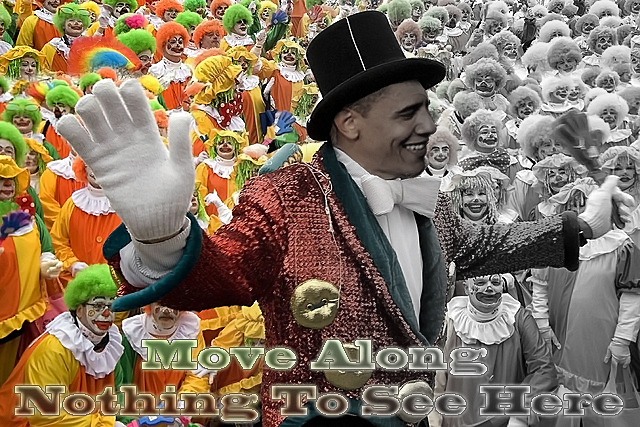 However, there was plenty of media coverage of President Obama walking the beaches and eating the local shrimp in a thinly veiled effort on the part of the government and BP in promoting the notion that all is well. There are other voices, albeit quieter voices, outside of the mainstream media and the BP propaganda machine, which tell a far different side of BP’s efforts “to make it right.” Consider the case of Empire, Louisiana fisherman, Elmer Rogers, as he presents his story which differs considerable from the BP and U.S. government media spin, when at a local Town Hall meeting in Lafitte, LA., recorded by WWLT TV, from New Orleans, he pleaded with BP’s front man for Gulf compensation, Ken Feinberg, to help him when Rogers referenced his stalled claim he presented to BP for the loss of his fishing business; “I’m not asking for the world, I’m just asking for something to live on, man. That’s all I’m asking for. At Thanksgiving, I was under review. My kids barely ate. I barely ate. Christmas came. My child is 13 years old. She got nothing. You know what she woke up to? No water in the house, and no power. What you want me to do? Get on my knees and beg for it?” When at this point, Rogers dropped to his knees and said, “Look, I’m here, I’m on my knees for it. I need my money sir, to live. Mr. Rogers did hear from Feinberg the next day. However, Mr. Rogers was never made whole. I dare anyone to watch the Rogers video and not feel Mr. Rogers pain. I dare anybody to not watch Feinberg’s insensitive response to Rogers and not be filled with rage. And I dare anyone to read part two of this series as the stories of people like Kindra Arnesen, interviewed on The Common Sense Show, are unveiled as she speaks directly about the financial and health devastation visited upon the Gulf by BP with the assistance of the federal government (Part 1, Part 2, Part 3, Part 4,Part 5, Part 6). BP’s claims that they won’t leave until they make it right, must indicate that BP is taking up permanent residence in the Gulf. They will never make it right and they signaled this intention when BP hired Ken Feinberg to disburse the reimbursement funds to the oil spill victims. It is clear that Feinberg is working to save as much of the government payout fund for BP as he can. To date, Feinberg has dispensed only $4 billion of the $20 billion dollars ordered for restitution. Maybe that is because the government in their complicity in covering up these events and acting as an agent to mitigate the damage to BP, is allowing BP to pay Feinberg’s firm to the tune of $850,000 per month! Talk about the fox watching the hen house. BP will never make these poor victims whole and with the help of the media and government officials, they will never have to. Financial destitution is the least of the problems for the residents of the Gulf. The depth of this monumental conspiracy is going to be revealed in subsequent parts of this series as I have reopened the investigation into the “Ongoing Great Gulf Coast Holocaust” and the devastation will prove to far worse than originally believed. Pacific Ring Of Fire Activity Continues: Earthquakes Of Historic Importance For The West Coast & Mississippi Delta! Dave is an award winning psychology, statistics and research professor, a college basketball coach, a mental health counselor, a political activist and writer who has published dozens of editorials and articles in several publications such as Freedoms Phoenix, News With Views and The Arizona Republic. 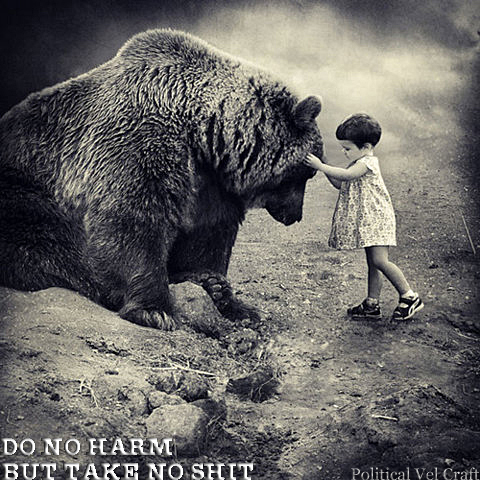 The Common Sense Show features a wide variety of important topics that range from the loss of constitutional liberties, to the subsequent implementation of a police state under world governance, to exploring the limits of human potential. The primary purpose of The Common Sense Show is to provide Americans with the tools necessary to reclaim both our individual and national sovereignty. ← Israeli Banks Flipping Out Over Looming European Boycott Of Israel. Tick Tock Tick Tock!